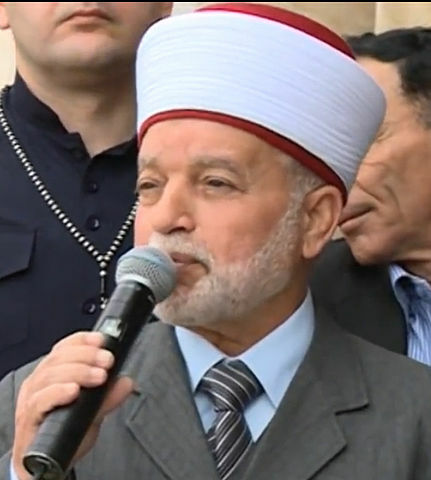 The Grand Mufti is the senior Islamic cleric in charge of Islamic holy places, including the al-Aqsa mosque. A predecessor of his has also been in the news recently. The Israeli Prime Minister Benjamin Netanyahu seemed to blame Haj Amin al-Husseini, the Grand Mufti at the time of World War II, for the Holocaust. Al-Husseini fled to Germany in 1941 and met with Adolf Hitler, Heinrich Himmler, Joachim Von Ribbentrop and other Nazi leaders. He wanted to persuade them to extend the Nazis’ anti-Jewish program to the Arab world. The implication in what Netanyahu said is that Hitler simply wanted to expel the Jews (to Palestine), but the Grand Mufti said they should be destroyed. However, the German government issued a statement claiming full responsibility for the Holocaust, although it’s good to remember that Adolf Hitler was an Austrian. Anyway, over seventy years later, the Muslim leader of Jerusalem, having learned nothing from history, is claiming the Jews have no historical rights to Jerusalem or anything else in Palestine. As it happens, I’ve been studying the Old Testament prophetic books of Haggai, Zechariah and Malachi. These three men prophesied to the Jews in the post-exilic period. The Jews, you will remember, were taken into captivity by Babylon’s King Nebuchadnezzar at the end of the seventh century BC and remained there for seventy years. In 539 BC, Babylon fell to the Persians, who let those who wanted to, return to the Promised Land. 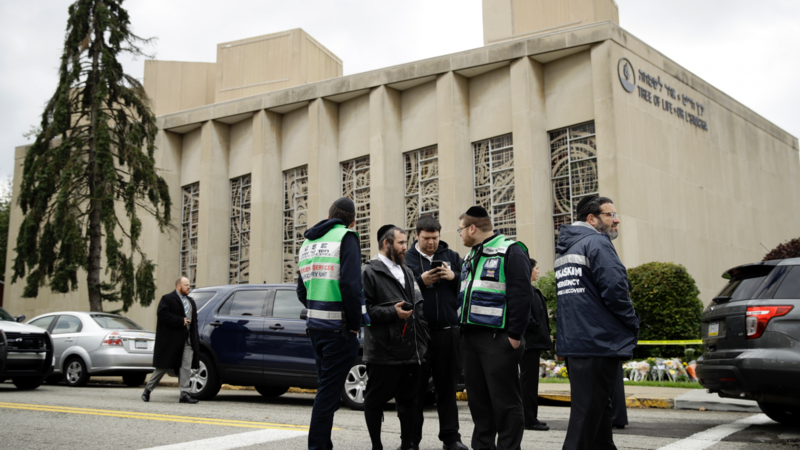 There, they helped rebuild the 500-year-old Temple of Solomon. Haggai was very precise in his writings. In chapter 1, verse 1, he writes “In the second year of King Darius, in the sixth month, on the first day of the month……” Bible commentaries and marginal notes will tell you the exact day this was written, in our Roman calendar. It was August 29th, 520 BC. In the second chapter, again he was very exact. ”In the seventh month, on the twenty-first of the month, the word of the Lord came by Haggai the prophet…” This equates to October 17th of the same year, 520 BC. Haggai then asks the “remnant of the people” (those who had returned from captivity): “Who is left among you who saw this temple in its former glory?” It is thought that Haggai himself remembered the temple prior to its partial destruction by Nebuchandnezzar’s conquering army. He now appealed to the people to help rebuild it. None of the above is likely to convince the Grand Mufti of Jerusalem that there was a Jewish Temple centuries ago. However, it should be pointed out to him that, amongst the Dead Sea Scrolls found shortly after World War II, were fragments of Haggai, Zechariah and Malachi. All were dated from the second and first centuries Before Christ. Islam did not come on the scene until the seventh century After Christ (A.D.) Arabs took control of Jerusalem in 638 and built the Al-Aqsa Mosque in 705. The claim that the Al-Aqsa mosque has been there since creation is ridiculous. It’s also political – the real aim here is to “prove” the Jews have no historical claim to Jerusalem! CNN International broadcasts “International Desk” every weekday from 10am Eastern time. The program comes out of London. Today’s anchorwoman twice referred to problems on the Slovenia-Australian border. Who moved? Slovenia or Australia? The two mistakes were made either side of a commercial break. You would think that somebody at CNN would have noticed the mistake and told her before she came back on air. I can only conclude that nobody at CNN actually watches the channel. This, of course, could be a very good thing! Meanwhile, millions of people around the world are left unaware that there is a major problem involving refugees on the border of Slovenia and Austria! 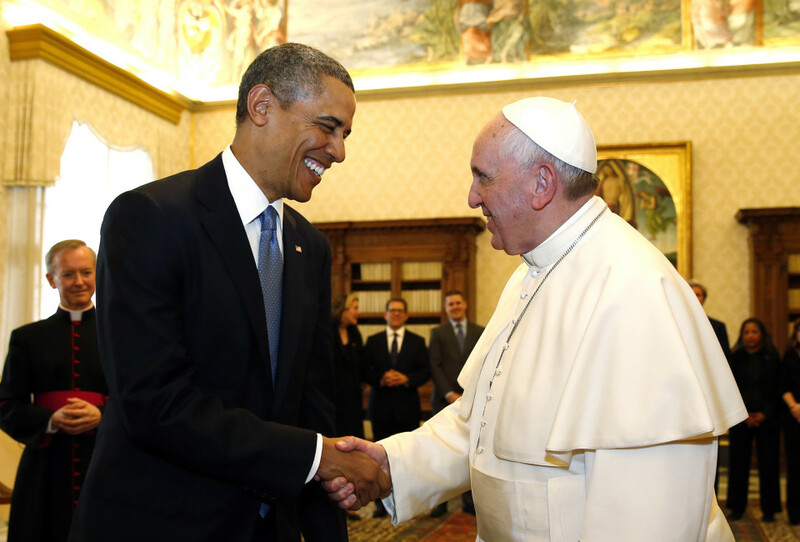 U.S. President Barack Obama shakes hands with Pope Francis (R) during their meeting at the Vatican March 27, 2014. Obama’s first meeting on Thursday with Pope Francis was expected to focus on the fight against poverty and skirt moral controversies over abortion and gay rights. The Founding Fathers of the United States could not have imagined such a scene ever taking place in this country. The scene was played out this morning on the White House lawn. The head of the Roman Catholic Church, Pope Francis, together with a US president of African heritage with a Muslim father and other definite Muslim connections. Whereas the US was 98% Protestant at its founding, today there are arguably only two faiths that matter – Catholicism and Islam. Certainly, these are the only two that dominate news headlines. Just a few days ago, the leading Republican presidential candidate, Donald Trump was asked a question by a man who believed that President Obama is a Muslim. Because he did not correct the man, it is assumed he believes the same way and he has been greatly criticized for it. Of course, if there’s nothing wrong with Islam, why should anybody get upset if described as being Muslim! A day or two later, Ben Carson, another Republican candidate, a quiet, reserved and respectful man who is a double minority, both black and a Seventh Day Adventist Christian, was asked what he thought of having a Muslim president. He was not in favor of it and has since been accused of racism! Fifty years ago, when Senator Edward Kennedy sponsored the bill, which became the new immigration law, he said Americans would not see any noticeable change in the fabric of the country. Here we are five decades later in a very different religious landscape thanks to that immigration act. That compassion stems from Christianity, both Catholic and Protestant. For centuries, monks and nuns provided the only hospital care available for travelers and locals alike. They also provided food and drink to the poor. Yes, Christianity and Islam are very different. Only the Hungarian leader, Viktor Orban, seems to be pointing that out, saying his country does not want the migrants. Hungary suffered for almost two centuries under Islamic rule, so it’s not surprising that they don’t want Muslims back. Mr. Orban has said that the massive movement of migrants into the country threatens the nation’s Christian heritage. For this realistic comment, he is being condemned by the emotional majority more influenced by television images of people pushing further into Europe. It is doubtful the enthusiasm for Muslim immigrants will last long. Then what? Catholicism and Islam have clashed repeatedly throughout history – and could do so again. People in the West have largely forgotten this past history or don’t care. But that’s not the case in the Islamic world where the term “crusaders” is often used to describe westerners, a reference to the Crusades between Catholic Europe and the forces of Islam that began in 1095 and lasted for two centuries. There were other less famous clashes between the two. In the eighth century Muslims invaded Spain and France, until they were defeated in 732 by Charles Martel. His grandson Charlemagne was still fighting the North African invaders decades later. After the Crusades ended, there were other clashes as the Ottoman Turks advanced westward, conquering islands in the Mediterranean and moving fairly rapidly into the heart of Europe. The historic rivalry between Rome and the Islamic world will likely be a part of the prophesied clash between the King of the North and King of the South in the last verses of the Book of Daniel, chapter 11. Earlier this year the leaders of ISIS threatened to invade Rome and kill the pope. Islam has certainly succeeded in dividing the West in the early years of this century, as both Americans and Europeans hold different opinions on how best to deal with the migrant crisis. Some are fearful about security while others just want to help, not realizing there are a number of rich Arab countries, which could take the Syrians in. Not all the migrants are Syrians – a British newspaper revealed last Saturday that only 1 in 5 migrants is a Syrian refugee. The others are economic migrants and could be sent home under international law. Is this the end of western civilization, as Mr. Orban fears? That’s not likely. What is more likely is that westerners will change their thinking when they experience the reality of greater numbers of Muslims. Anti-immigrant parties are likely to come to power, promising to do something to restore their countries to what they were. Islam means “submission,” In spite of denials by national news presenters, this makes the religion incompatible with the US Constitution, which is based on freedom. And just as Islam is incompatible with freedom, so is Roman Catholicism, a religion that dominated Western Europe for over a thousand years, until the Protestant Reformation introduced an element of religious freedom. It was English Protestants who founded James Town and Protestants of mostly British descent who founded the United States. Today’s Protestants seem to have very little influence in the country, a fact that increasingly threatens religious freedom. What we saw today on the White House lawn was, in a sense, a profile of three religions – Catholicism, represented by the Pope; Islam, represented by the American son of a Muslim Kenyan father; and Protestantism, represented by the White House itself, the US Constitution, and the soldiers in early American uniforms. The first two are on the rise – the Church of Rome and Islam!